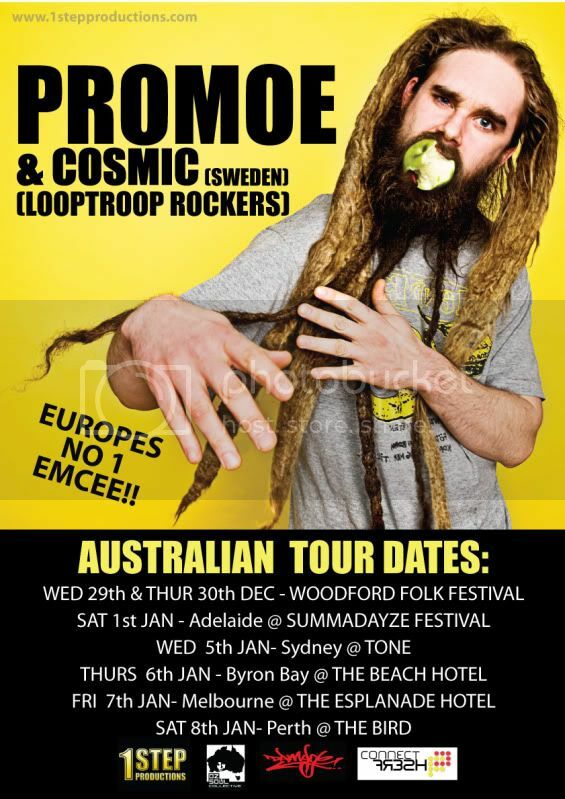 This summer Promoe and Cosmic, founding members of the infamous Looptroop Rockers (formally known as Looptroop), embark on an Australian tour. Hailing from Sweden, Looptroop have enjoyed over 15 years as one of the most prominent Hip Hop groups in Europe. Cosmic will join Promoe as his DJ, as well as bringing his own Jamaican inspired vocal skills to the mic. For the pair, music is about communicating what's going on in the world. They now bring their powerfully crafted show to connect with audiences all over OZ.